Welcome! 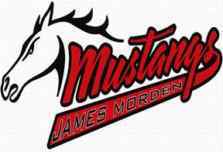 As Principal of James Morden Public School, I would like to extend a warm welcome to you as you visit our web site. I am very proud of our students and their daily academic success. Our students work hard to meet the expectations for each grade level in the Ontario curricula. They are also successful in demonstrating respect, citizenship and a caring attitude toward others. It is also a pleasure to work with the 35 school staff members who are dedicated and competent individuals. Strong teamwork and good communication enables them to focus on student growth and achievement. Staff members are knowledgeable about current best practices and embrace changes that will benefit student learning. Our school improvement goals this year are in the area of literacy, numeracy and character education. We set goals for academic improvement and plan for staff training. We gather data throughout the school year to assist us in evaluating student achievement. At James Morden Public School we work hard to foster strong partnerships with parents. We believe this is crucial to the success of our students. Keeping parents informed is accomplished in a variety of ways. This includes newsletters, phone calls, school information sign, conferences and report cards. The parents at James Morden take their role as involved parents very seriously. Their support is on-going. When I am talking to families about our school and we walk around the building, I often hear comments about the warm and friendly environment. This is reassuring because we all work hard to make James Morden Public School a safe and respectful place where children and adults can grow and learn. If you would like more information about our school, please call me at 905-358-5011.